I read this article and found it very interesting, thought it might be something for you. 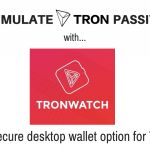 The article is called TronWatch Wallet: How To Use Tron Power To Earn TRX Passively and is located at https://www.whatisacryptocurrency.com/tron-watch-wallet-how-to-earn-trx-passively-with-tron-power/. I first started using the TronScan web wallet, but I ended finding and decided to move to the TronWatch wallet for storage. Mainly because desktop wallets are more secure, and I enjoy the interface more. I find it to be more user friendly. I am still using TronScan however for it’s DEX [decentralized exchange] which trades the TRC-10 / TRC-20 tokens that you can earn by participating in Tron’s delegated proof of stake [passive earning] process via the TronWatch wallet. I will provide a video about the Tronscan wallet and DEX in a future blog post. 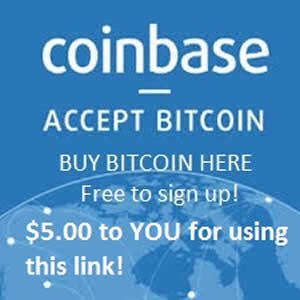 Earn money passively everyday [like interest or dividends] just by holding a coin you are already wanting to invest in / hold for a longer period of time. This is powerful because it gives you the opportunity to earn a residual income by holding Tron off of the exchange in an officially recognized Tron Wallet, like TronWatch.